CFI’s Interview Book is free and available for anyone to download as a pdf. Learn about the most important interview tips and tricks to stand out at your next job interview! This book contains hundreds of the most common questions and answers you need to get hired! Download this FREE eBook to ace your next job interview! This resource contains 70+ pages and hundreds of job interview questions and answers! 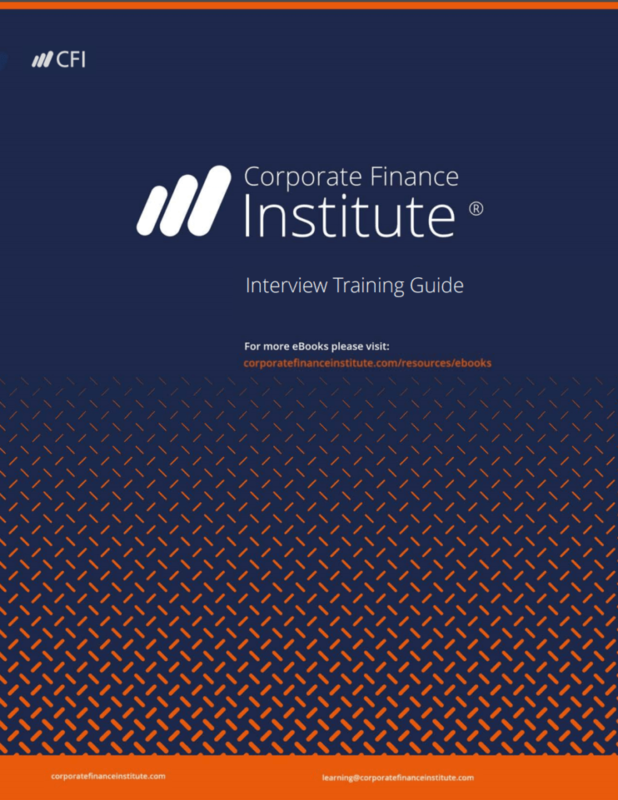 Welcome to the official interview eBook from the Corporate Finance Institute. In this 75-page summary, we walk through all the most important questions you will see in an interview for a financial services career. From behavioral questions such as “What is your biggest weakness?” to technical questions such as “Walk me through a DCF”, CFI’s interview eBook will provide you sample answers to these and many more interview questions! We hope you find this book useful in reaching your future goals. CFI’s book on interviews is divided into two chapters. Below is a detailed breakdown of what’s included in each chapter. This Interview book is a great way to jumpstart your career. Whether you are a beginner or intermediate student, this book is a great way to get a lot of information in one highly organized format. And the best part is…it’s 100% free!